The upcoming Charlie's Angels reboot has secured a new, possibly much better, release date. Sony is behind the reboot, which is based on the 1970s TV series of the same name. The studio has announced that they have shifted the movie back by more than a month. Not necessarily because there are any issues to be concerned about, but simply because an opportunity has presented itself that may be too good to pass up. Warner Bros. recently decided to bump back the release date of their highly-anticipated sequel Wonder Woman 1984 rather significantly, shifting it to June 5, 2020. That left the old November 1, 2019 date wide open, which Sony was quick to scoop up and give to Charlie's Angels. This was probably a smart move for both studios and those who were upset that the Wonder Woman sequel got delayed will have another female-fronted action movie to enjoy on the very same day, while getting to enjoy Gal Gadot as Diana Prince right where she belongs in the heart of the summer movie season. For Charlie's Angels, it's an interesting move for a few reasons. Ultimately, the winter months have proved to be quite lucrative in recent years for studios. On the other hand, September is often seen as something of a dumping ground, a few hits in recent years (IT, for example) aside. The new November date showcases a bit more confidence and gives director Elizabeth Banks (Pitch Perfect 2) a little more time to get the reboot in tip-top shape. Though, they will be facing some more direct competition in the form of Paramount's Sonic the Hedgehog movie (which was originally set up at Sony, somewhat ironically) and Lionsgate's Midway. 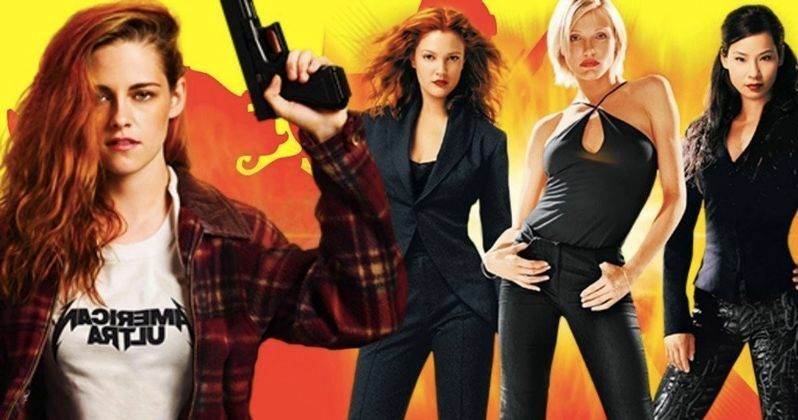 Another interesting note: the reboot will now open on the same weekend that the first Charlie's Angels movie opened in back in 2000. That movie, and its sequel, starred Cameron Diaz, Drew Barrymore and Lucy Liu as the trio of agents. This time around, it's Kristen Stewart (Twilight) Naomi Scott (Power Rangers) and newcomer Ella Balinska who will be taking orders from Bosley (to be played by director Elizabeth Banks). There are actually two other versions of Bosley who have been cast in the reboot, including Patrick Stewart (X-Men) and Djimon Hounsou (Guardians of the Galaxy). The new Charlie's Angels will see the Townsend Agency, the secretive agency that the agents work for, having expanded their operation globally, with different teams in various locations around the world. The movie will primarily be focusing on one of those teams. It's quite likely these two other Bosleys will be responsible for two of those other teams and will be supporting characters. Sony Pictures kicked off filming on the reboot kicked off at the end of last month and we recently got a glimpse at some set photos showing Kristen Stewart in action. We'll be sure to keep you posted as the project makes its way through production.